85 faculty and students from Peking University and UCLA gathered to exchange research findings and explore new areas for collaboration at the 7th annual JRI symposium at UCLA. A diverse delegation of 20 faculty represented Peking University’s (PKU) science and engineering research during the Joint Research Institute in Science and Engineering (JRI) by Peking University (PKU) and the University of California, Los Angeles (UCLA) Annual Symposium, held May 20, 2016 on the UCLA campus. Over 85 participants attended this seventh annual symposium which alternates between PKU and UCLA campuses. During her opening remarks, UCLA Vice Chancellor for Research Ann Karagozian said she was pleased to see faculty taking initiative to promote an important relationship and engage in cutting edge research. Incoming UCLA Foundation Chair, Shirley Wang and Lei Wang, the Deputy Consul General, Consulate General of P.R. China in Los Angeles stressed the importance of the U.S.-China relationship. JRI Co-Director and PKU Professor Xiaoming Li reflected on the seven years of partnership. An update of the JRI programs was provided by JRI Co-Director and UCLA Professor Jason Cong including highlights from JRI’s research, publications and student programs. Professor Cong congratulated faculty who won a National Natural Science Foundation of China (NSFC), Project of International Cooperation and Exchanges award for image processing research. He also mentioned the first Air Quality Management Training Program that was led by UCLA Professor Yifang Zhu last summer. Students in the PKU/UCLA Integrated BS+MS "3+2" Program graduated and took prestigious positions in Silicon Valley and beyond. The audience was then engaged by keynote presentations from prominent faculty from both campuses: Jonathan Flint, professor from the UCLA David Geffen School of Medicine Department of Psychiatry and Biobehavioral Sciences; Chenjian Li, professor from the PKU School of Life Sciences; and Lixia Zhang, professor from the UCLA Department of Computer Science. 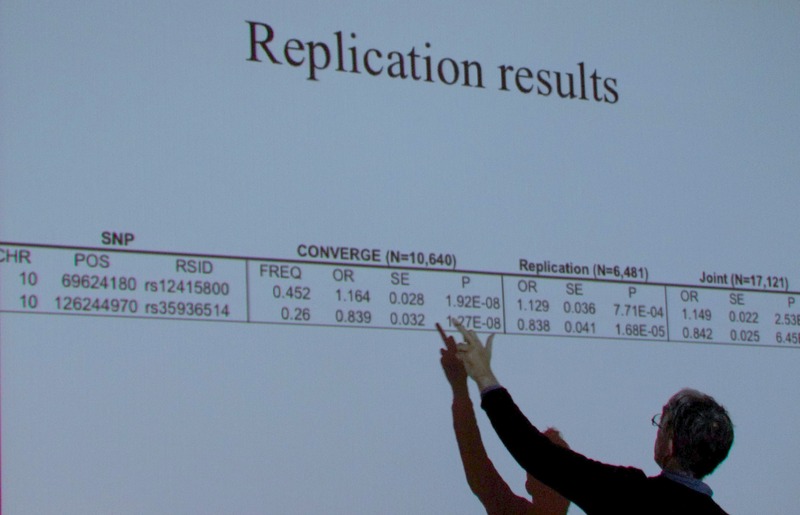 The day prior to the symposium, an Image Processing working group meeting was held that included researchers from the recently funded award from the NSFC. On the day following the symposium, PKU and UCLA faculty met to brainstorm additional ways to apply for joint funding. For the full program of the symposium, please visit http://www.pku-jri.ucla.edu/jri/events/11766. JRI was founded in 2009 with the intention of fostering new and existing collaborations between UCLA and Peking University. 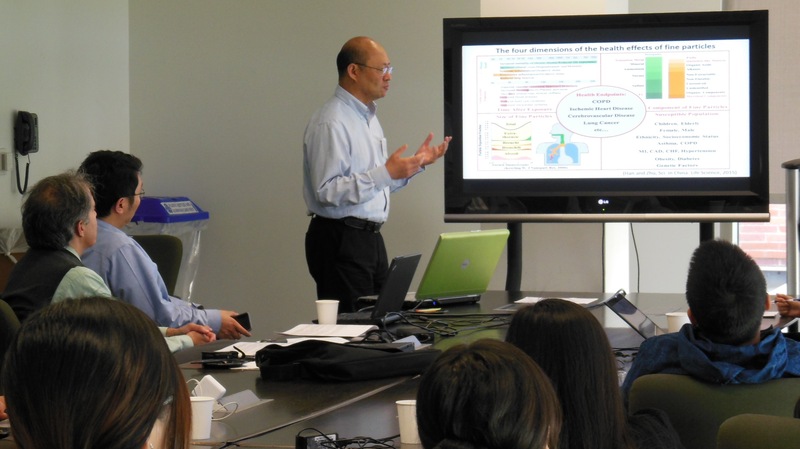 Under the co-direction of Xiaoming Li (PKU) and Jason Cong (UCLA), JRI trains future science and engineering leaders with a global perspective, secures joint funding, and facilitates technology transfer of research results. JRI aims to serve both institutions as they jointly confront global concerns in science and engineering.